Creature comforts improved through the 1959-’68 model run. The 3000 Mark II (introduced in early 1961) has wind-up windows; the Mark III (introduced in late 1963) has a zippered rear window in the convertible top. The top itself is easier to erect in the later cars; it’s more of a proper folding top than a complicated tent. Expect plush leather in place of vinyl seats in the Mark III, along with a classy wood dashboard. Nearly all Big Healeys came with wire wheels. Disc wheels, a rare option on Sixes, make the car look goofy. Hubcaps are therefore just as rare, so if you get a disc-wheel car, make sure it comes with all four hubcaps if you want to keep it original. Know your model designations: BN7 and BT7 are the chassis designations for two- and four-seater Mark I cars, respectively. The two-seater was discontinued for 1962, and the Mark II roadster became the BJ7. The Mark III, the most refined and desirable of the bunch, is a BJ8. The mechanical components are dead-simple, and nearly all parts are readily available. Plenty of upgrades still exist, like tube shock conversions to replace the original lever shocks. The first 1390 Mark III cars to roll off that assembly line did not have the suspension upgrades expected in the model. Phase One cars have the same suspension and ride height of Mark II cars. Thankfully, it’s easy to spot the difference: Phase Two cars received push-button door handles and parking lights that are separate from the turn signal indicators. The big wheel-to-fender gap in the rear is hard to miss, too. Ride height is very low in Mark I and Mark II cars, so remember to look underneath for frame damage from contact with the ground. Corrosion is a formidable foe in this car. The main body structure features a mix of aluminum and steel, which invites corrosion at those contact points. The factory used felt pads in these areas to keep the metals separate, but felt—which absorbs moisture—is not effective at rust prevention. Check the bodywork thoroughly. We’ve seen more bad restorations than good ones of these cars. The pursuit has been popular among shadetree restorers, so look for simultaneously hilarious and horrifying disasters resulting from body filler. Consider your pocketbook before you take on a car that needs a lot of bodywork. Installing body panels is a long, labor-intensive job, which means big bucks if you’re outsourcing that part of the project. Each panel must be hand-fitted and shimmed into place to line up properly, and the flexible chassis just adds to the difficulty. Your mechanicals must be somewhat sorted before panels can be fitted: The drivetrain must be in place for this step, or all your work setting panel gaps will be for naught. The chassis will flex and everything will be out of place. Andy Reid also contributed to this article. 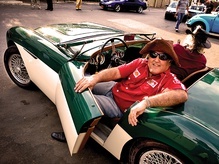 Join Free Join our community to easily find more Austin-Healey articles. 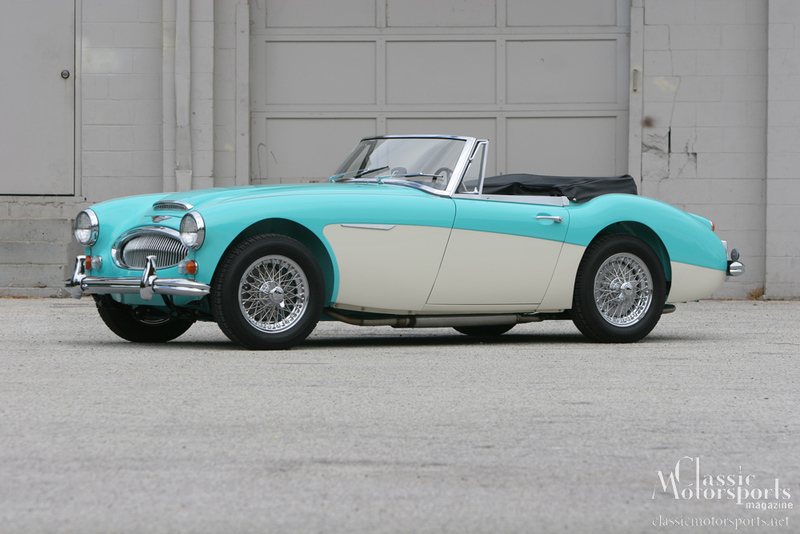 • You’ll hear it before you see it: The Austin-Healey 3000 produces the defining Brit-car sound. • A comfortable tourer with a racing pedigree, this car will cruise and compete with equal competence. 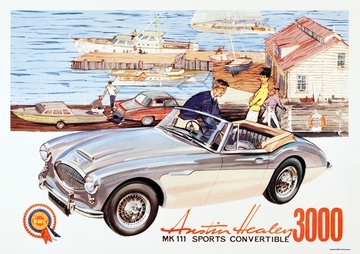 • Before she had a Corvette, Mattel’s Barbie doll drove a Big Healey. 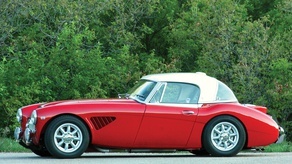 • Club support is excellent, and the Austin-Healey Club of America creates a beautiful member publication. • It’s a British drophead with elegant looks and four seats available. What more could you want? Horsepower: 124 @ 4600 rpm (Mk. I); 130 @ 4750 rpm (Mk. II); 148 @ 5250 rpm (Mk. III). Torque: 162 lb.-ft. @ 2700 rpm (Mk. I); 167 @ 3000 rpm (Mk. II); 173 @ 3000 rpm (Mk. III).